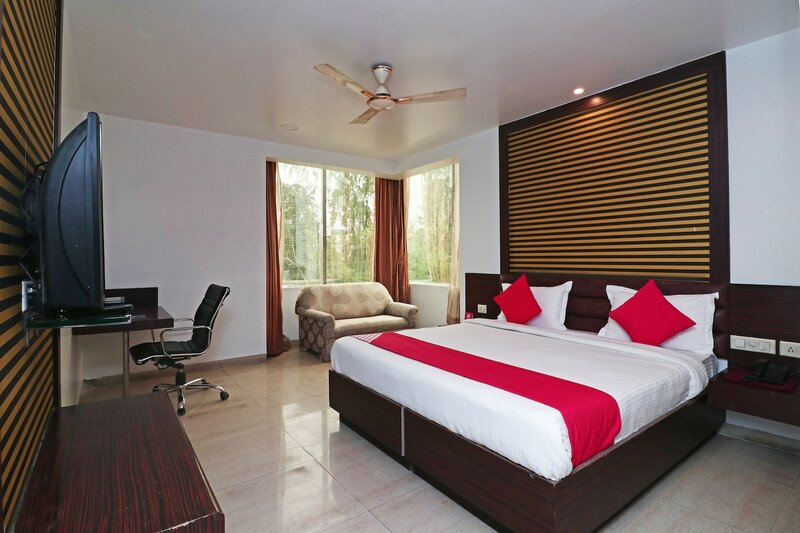 Hotel Parth Paradise is a well-equipped accommodation located in Surya Nagar in Ghaziabad. Within 30 minutes, many popular tourist attractions can be accessed like Raj Ghat, India Gate, Purana Qila, and National Gallery of Modern Art. The rooms are spacious and have artistic interiors and large windows that keep it bright and airy. Each room is equipped with an AC, TV, and mini-fridge. Free Wi-Fi, kitchen, power backup, parking facility, banquet hall, conference room, and dining area are other services offered by the hotel. Some places to eat nearby include The Dosa King, Slice Of Italy, Roomsli Garh, Food Express, and Malais By Anands.